This kit consists of Expert Ideal-Scope, ASET Scope, Comparison plate for Smart Phones, Standard 10x gem Loupe, Locking Tweezer and BOTH Ideal and Average Sample 6.25mm CZ’s. 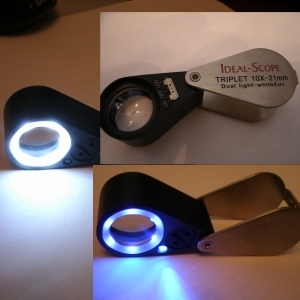 You may upgrade by selecting our Dual Light LED Loupe which adds battery powered optional daylight illumination or near long wave UV illumination. 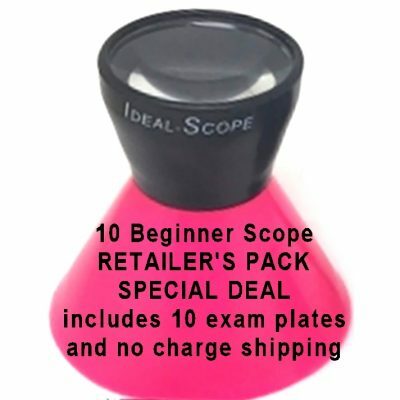 This selection will remove the Standard 10x loupe from the basic package. 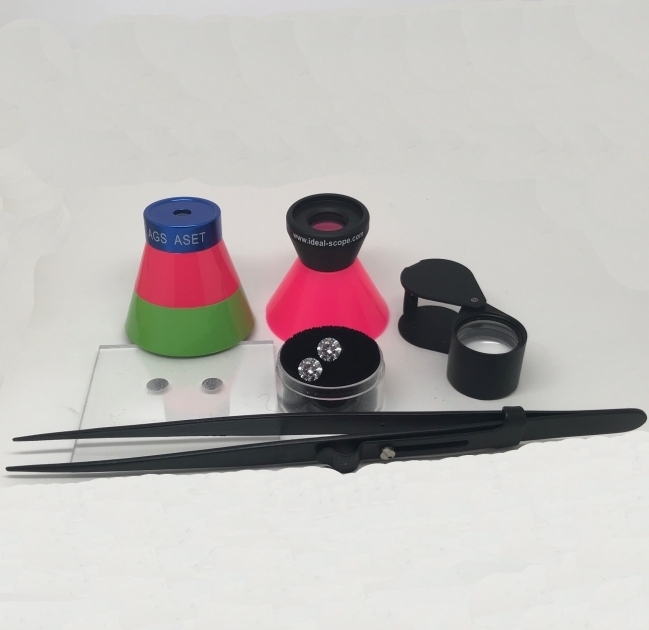 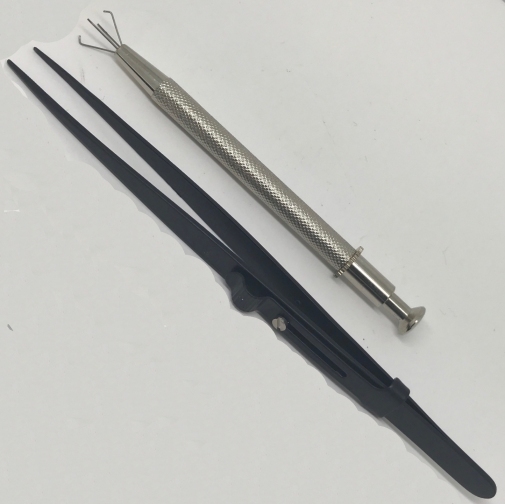 If you select the best option you receive both the Dual Light 10x Loupe and the additional Stone Holder along with the locking tweezers which comes in the basic kit.